Foraging for food is super satisfying, but for these 5 foods you do not have to travel far to find them. In fact you can probably forage from your backyard for this list. It might surprise you that you can eat them, but you can, and they are delicious! Of course when you are foraging in your backyard or anywhere, it is really important to know beyond reasonable doubt that what you’re about to eat is what you think it is, and that it is actually considered edible. If in doubt, ask some one that knows, and don’t eat it until you are sure. The other thing that you need to be aware of is the environment your plants have come from. You need to consider whether the area you’re picking in is likely to be polluted and also whether the plants have been sprayed with herbicides or pesticides. If you are foraging in your backyard you are likely to know what pollutants are around, if you are venturing further afield, then be aware. You don’t have to have a massive vegetable garden to be able to eat from your yard. You can grow medicinal herbs among your flowers, and eat some of the weeds and trees that are already there! If you are a newbie to gardening, or if you want to learn a lot more, check out our very in depth course – The Productive Gardener. 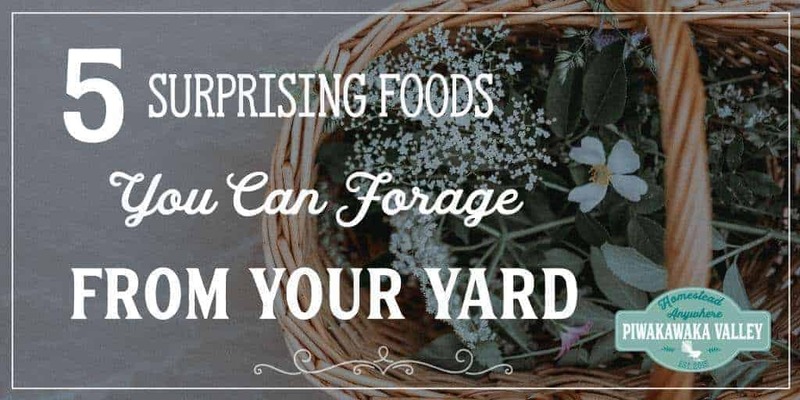 Here are 5 forage foods you may not know are even edible, and what’s more, you may well even have them in your backyard! Did you know you can tap more than just maples? 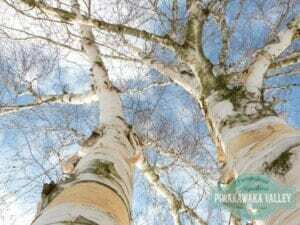 Birch trees create a watery, tasteless sap that is high in nutrients and minerals. The magic happens once you boil it. Tap your trees before the buds burst in early Spring, otherwise it will taste sour. As soon at it is harvested it needs to be processed to preserve it. Put it in a large pot and boil on low for around 12-14 hours until you have a syrup. You can use it in place of maple syrup. 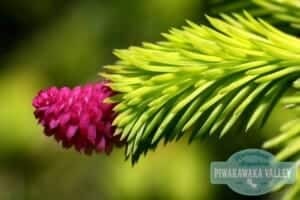 You can eat spruce and pine when they very first emerge in the spring time, while the tips are soft and light green. They taste like they smell, with a hint of citrus. You can use them to make tea, flavor sugar or add them to shortbread or muffins for a tangy boost. I have just discovered some of this today growing by my boy’s sand pit. 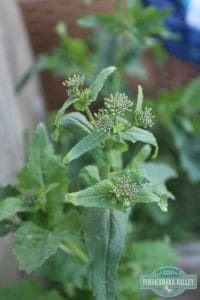 The flower heads look and taste like broccoli and the greens work well in salad, or steamed. The leaves are quite sweet in Winter and peppery in Summer and the rabbits love them too. We have these growing under our pine trees. If you touch them with bare skin you will know about it! However once they are cooked they lose their sting, and taste very similar to spinach. Just make sure you wear gloves when you harvest the nettle and then dip them in boiling water for about 30 seconds to disarm the stingers. Or throw them all in a pot of soup, nettle soup is incredibly nutritious and delicious to boot. 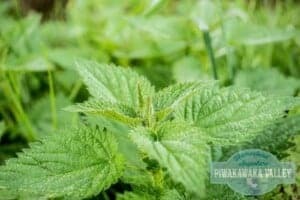 If you want to learn more about the benefits of plants like nettles, I really recommend doing a good herbal course like the ones that the Herbal Academy run. 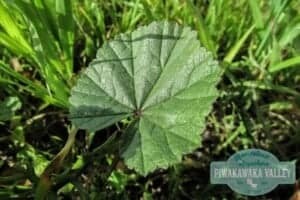 There are many different varieties of mallow, which are a genus of plants from the malva family. They vary in size from over 6 foot to tiny ground covers, they are all edible. They can be used as a salad green or steamed and eaten like spinach. Do you forage for food? What are your favorite wild foods? Tell me about it in the comments below! For more information about foods that you can forage, check out these books. If you plan on foraging for mushrooms PLEASE make super sure you know what it is before you eat it! Please pin and share with your friends.